I rendered this a couple of weeks ago and thought I'd share. 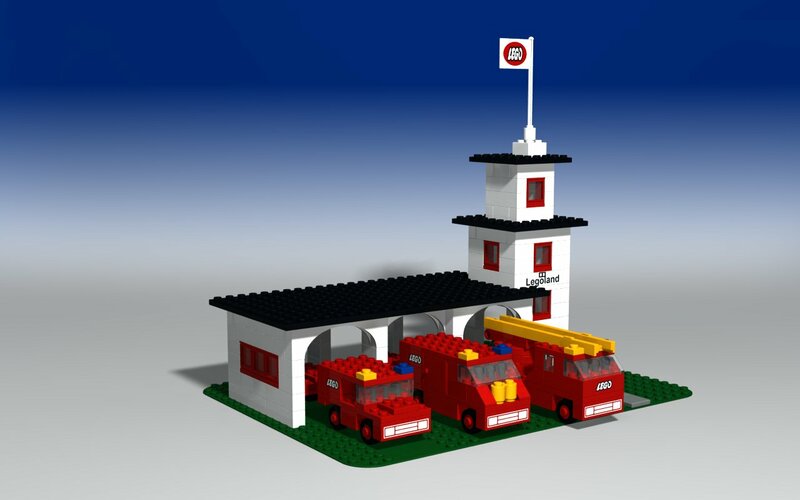 This is LEGO(R) Model 357 Fire Station with Vehicles from 1973. I'd like to create a more "action oriented" version in the future, but it is pretty nice to begin with. I personally like the middle engine with the two yellow round. It was the reason I rendered the model to begin with.